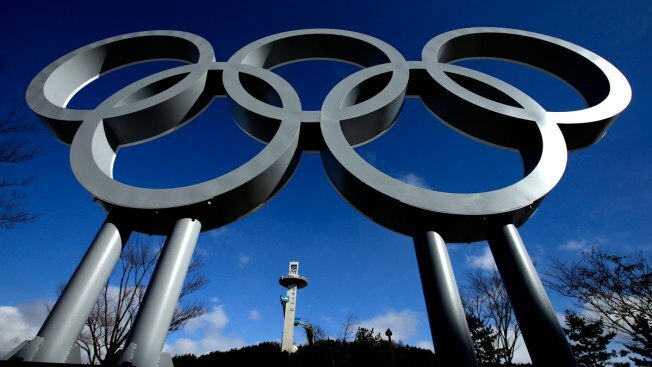 The tower for the Alpensia Ski Jumping Center rises beyond a set of Olympic Rings at the 2018 Winter Olympics in Pyeongchang, South Korea, Friday, Feb. 2, 2018. Two Swiss Olympic athletes have contracted norovirus in recent days at the Pyeongchang Games. More than 200 people have been confirmed to have fallen ill from norovirus at the Winter Games. While most of them are security staff and personnel, the Swiss athletes are reportedly the first at these Olympics to be affected by the contagious virus. The Swiss team said Friday the athletes haven't been staying in the main Olympic village. 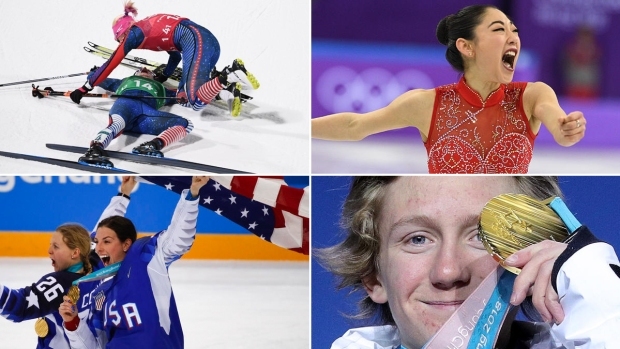 They no longer have symptoms of the virus, which causes vomiting and diarrhea, and should compete in their events, the team said. The athletes were immediately taken to single rooms and treated by team doctors. They have not had contact with other competitors. A Swiss team spokesperson said one of athletes was freestyle skier Fabian Boesch, according to Reuters. He made headlines in Pyeongchang after posting a video of himself hanging onto an escalator rail as it moved upward. The spokesperson did not want to name the other freestyle skier because the athlete’s relatives had not yet been notified. "Everyone else is safe. We did everything we could," the spokesperson told Reuters. "We took them away from the rest of the team and now they have to recover." Team USA's Mikaela Shiffrin said Friday she threw up before she got into the starting gate to start her slalom run, but it wasn't clear whether she vomited due to an illness or just nerves. Shiffrin finished fourth in what was said to be her best event. She said she was a little drained after all the interviews and other commitments that followed her gold medal win in the giant slalom the day before.